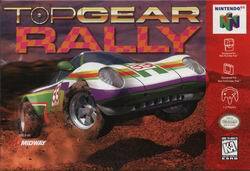 Top Gear Rally was released on the Nintendo 64 in October 1997. Top Gear Rally features a realistic physics model with functioning suspension. At the time, this was an impressive new gameplay development. 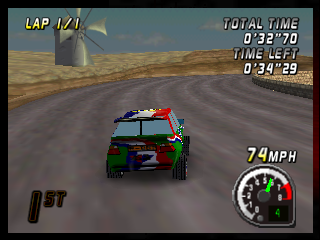 Road surfaces, including their imperfections, were accurately modeled to give the player the feeling of actually driving a car. 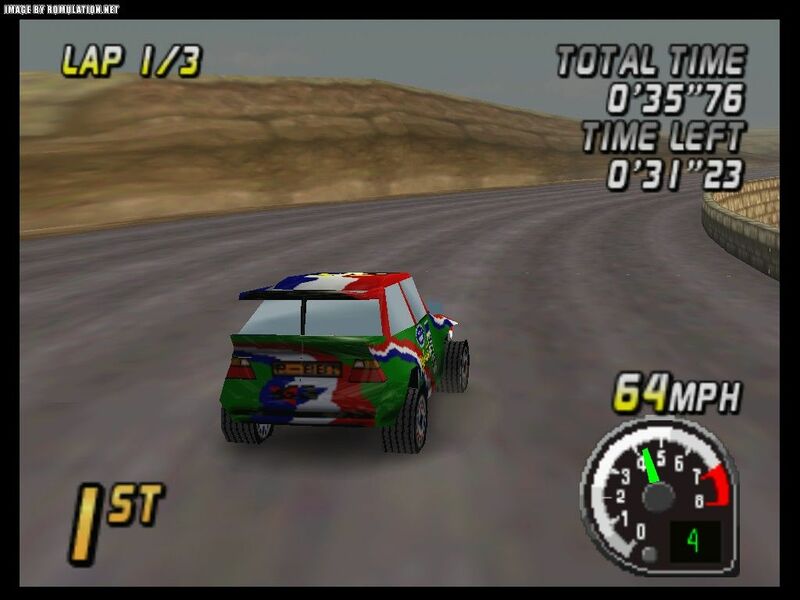 The performance of each vehicle in the game was unique. Not only with respect to engine power, but also areas such as tire grip, suspension stiffness, steering tightness, and between different drive-trains such as front-wheel drive, rear-wheel drive, and four-wheel drive. 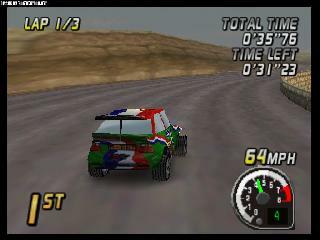 The game also features the possibility of damaging the vehicles, although the damage does not affect performance. The game's graphics were considered quite advanced for a home console system, being better than the PlayStation's then-available offerings. 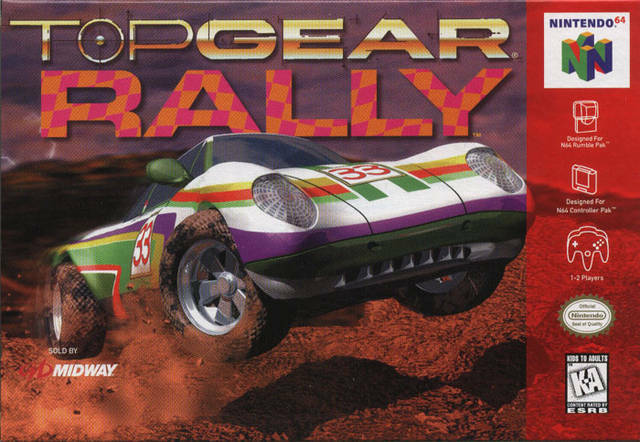 Smooth, non-pixelated, texture-mapped surfaces, high-detail cars, and complex environments were displaying at a generally smooth frame rate. 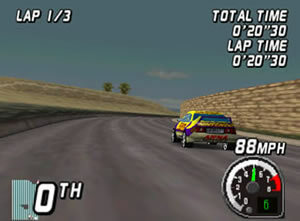 However, the number of on-screen vehicles couldn't exceed three without game speed being impaired. Now you can add videos, screenshots, or other images (cover scans, disc scans, etc.) 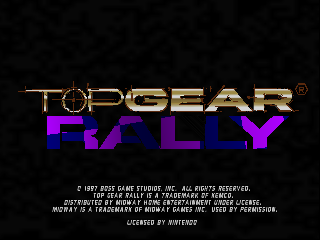 for Top Gear Rally (USA) to Emuparadise. Do it now!